The life of a WAG can be a glamorous one. You get to enjoy significant wealth as well as the fame that comes with it, however, it can also be challenging. Fans can get downright nasty when your man is not delivering the goods on the field of play. And in these days of the internet, there is no limit to the trolling you can suffer. If there is one WAG who is expertly navigating this contradictory world, it is Jessica Delp. 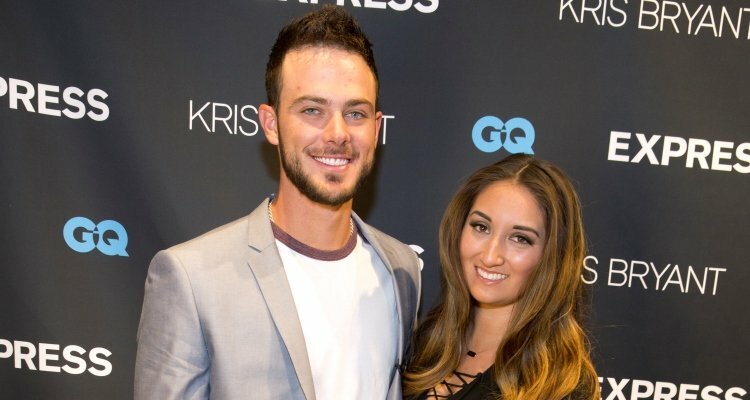 She is the wife of MLB star, Kris Bryant. Even though their union is in its infancy, they are already emerging as one of the notable couples in the world of baseball. Find out more about the gorgeous Delp here including her bio, family, as well as other interesting facts. Jessica Delp was born on the 4th of March 1992. She grew up in Las Vegas specifically the town of Nevada. For her education, Delp attended Bonanza High School. While she was there, she was an all-rounder as she excelled both in her studies as well as athletics. She played different sports including the game of softball and upon graduation, she made it to her school’s honor list. For her college education, Jessica Delp chose to stay close to home and attend the University of Las Vegas Nevada. There is no doubt that this decision must have pleased her parents. While at UNLV, Delp studied Psychology. She also continued her impressive records in both academics and sports. She graduated in 2013/2014 and since then has made a career for herself in various philanthropic activities. The world of sports is rife with stories of high school sweethearts getting hitched. 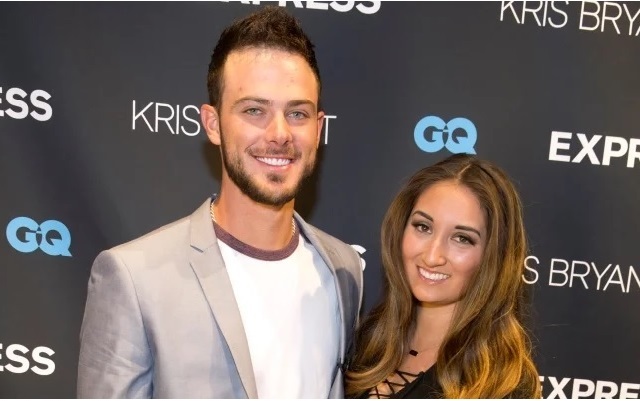 However, if there is one couple whose story truly stands out, it is Jessica Delp and her husband, Kris Bryant. Before we dish out their story, it is right to get some background information on Kris Bryant. Bryant is one of the best players in the MLB. He was born on the 4th of January 1992 in Nevada, Las Vegas and had his high school education at Bonanza High School. While in school, he excelled in baseball and in his senior year was named a First Team All-USA. He was even selected by an MLB side but choose to go to college. Bryant attended the University of San Diego between 2011 and 2013 during which he shattered several records. On leaving college, he scooped up nearly all the awards given to the best collegiate baseball player in the country including the Golden Spikes Award. Bryant currently plays for the Chicago Cubs. In his four year stint, he has helped the club win the World Series. This is a trophy that has eluded the club for over 100 years! Delp and Bryant began dating while they were in their second year of high school. This was in the year 2007 and they were both 15 at the time. They didn’t even have drivers’ licenses at the time and it was their elder siblings that provided transportation for their dates. The couple did not allow this minor snag to discourage them but they stayed strong. After graduation, Delp and Bryant continued their relationship despite the fact that they attended faraway colleges. They did not allow the long distance to get in their way and they stayed true to each other. The lovely couple got engaged on the 24th of December 2015 and shared the good news on their respective social media handles. They went on to tie the knot in their home state of Las Vegas on the 7th of January 2017. The ceremony featured their friends and family as well as Bryant’s teammates. There is not much information about Delp’s family background. However, we do know that her mother’s name is Yoko Delp and that she has an elder brother named Tomo. Given the fact that they commenced their relationship when they were young, Delp and Bryant are close to each other’s family. In December 2017, they combined their resources and bought Delp’s mom a beautiful jeep. Delp shared the heart-warming pictures on her twitter handle on the 26th of December 2017. She also disclosed that the gift was a thank you for all of her mom’s sacrifice throughout the years. She is athletically inclined like her husband. She played softball and basketball in high school. For those who may not know, softball is a variant of the game of baseball. As a youngster, Jessica Delp looked up to Jennie Finch. Finch is one of the greatest softball players ever. She won several trophies in the course of her career including an Olympic medal. Delp got to meet her idol in the year 2015. Jessica Delp is very supportive of her husband. She regularly attends his game. She also uses the internet to tune in when she cannot physically attend a match. Delp has been involved in several philanthropic ventures. She has auctioned some of her husband’s items to raise money for charity. She also worked with an organization that provides assistance for cancer patients.